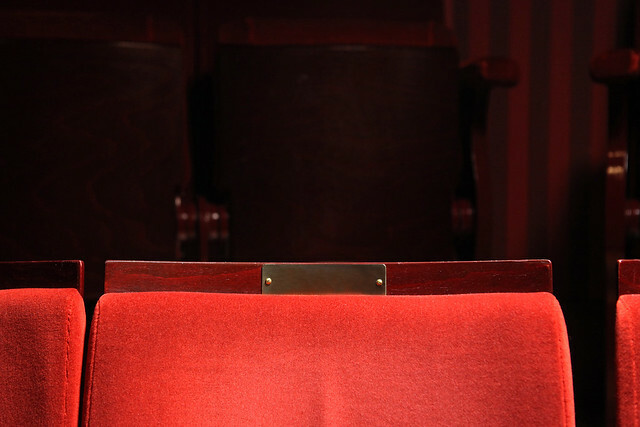 Naming a seat at the Royal Opera House is a wonderful way to celebrate your or a loved one’s enjoyment of the work of The Royal Ballet and The Royal Opera. Each seat named will be acknowledged through a smart brass plaque bearing the name of your choice. The plaque is fixed to your chosen seat within our historic and iconic Main Auditorium, or within the Linbury Theatre, the West End’s newest and most intimate theatre and remains in place for a generation (25 years), commemorating the named person’s love for extraordinary performances long into the future. Once the plaque is in place, we will invite you, along with your family and friends, to view your chosen seat and to enjoy a private backstage tour. Naming a seat gave us the opportunity to support the fantastic work of the Royal Opera House in a very special way. We named the seats for our young daughters who love ballet, and it is great to know that each performance someone will be sitting in ‘their seat’, wondering who they are! Naming a seat supports the future of ballet, opera, dance and music. Thank you. To hear this chair was purchased in memory of someone’s loving son is thought-provoking. Knowing the name of a person, and a little of what they loved, breathes life into the seat! Seat prices start from £1,000 and depend on the location of the seat chosen. To name a seat, please refer to the seat maps below to see availability. Please note that seats are limited and available on a first-come, first-served basis. Once you have named your seat, we will invite you to see the seat in in the new theatre, and you will enjoy a backstage tour with your friends and family. See the Main Auditorium seat plan here and the Linbury Theatre seat plan here. Please note: Naming a seat does not include admission to individual performances or events or guarantee allocation of that seat for a particular performance.